"Staff were very easy going and friendly." Have a question for The I Talay Room & Souvenir Guesthouse? "We were here 2 years ago and chose this guesthouse again because of convenient location and value for money." "Easy access to restaurants, market and shopping street, as well as close access to ferry." "Fantastic, helpful, English speaking staff who were very helpful and accommodating." "The staff at front desk are super kind!" 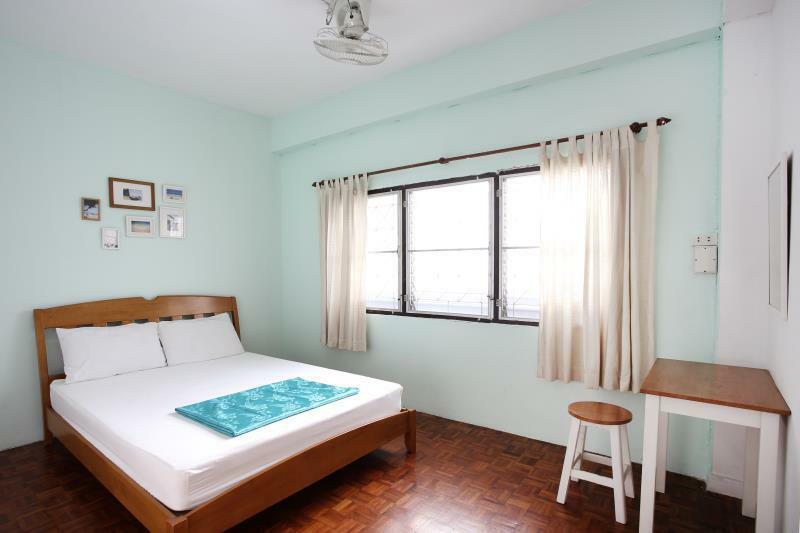 A short 15-minute drive from Krabi International Airport, this budget accommodation on Khongkha Road is complimented with clean and comfortable rooms. The center of town is two minutes away, and so too is the city’s famous Night Market, pier to Railay Beach, Phi Phi Bank, Post Office, and Krabi River. To go with its prime location, the property offers a range of activities at its lobby from souvenir shops, music, movies, board games, as well as a variety of drink and snacks. The I Talay Room & Souvenir Guesthouse is confident it will make your stay as comfortable as possible. "This is a clean, well located budget hotel down by the river..."
We had the private AC room and we're very satisfied with it. Great value, well located in Krabi town, near all you need. Staff not really present but if you need help there's tins of agencies around to buy onward tickets, etc. Would stay again. When we checked into this place mid afternoon there was no one at the desk and they left our key in a little bag. This was totally fine only we got a knock on our door late at night asking us to come downstairs 8 hours later and check in. Super odd place, no one is ever there at appropriate times and they have sign in the room saying that if the air conditioner breaks down while your in the room you’ll be charged 20,000 baht! Our airconditioning unit looked like it was from the 80’s so the chances of getting stuck with that charge is high. I wouldn’t stay here. It’s just not a very welcoming or comfortable place. Wifi was not great in our room however in the lobby it worked well. Beds were quite hard. Bathrooms weren't perfect but for what it is it was just fine. Staff were very easy going and friendly. Great location. This is a clean, well located budget hotel down by the river and 3 min walk to pier market, night market and the centre of town. Great restaurants and mini marts and shops on your doorstep. So close to everything yet quiet. The rooms and bathrooms are super clean. Just the basics in the room but all you need. Receptionist very friendly and helpful. The only downside is that the fan rooms are very hot in the daytime due to no air moving through. Perhaps a 2nd floor fan may improve the airflow? Ok temperature at night though. 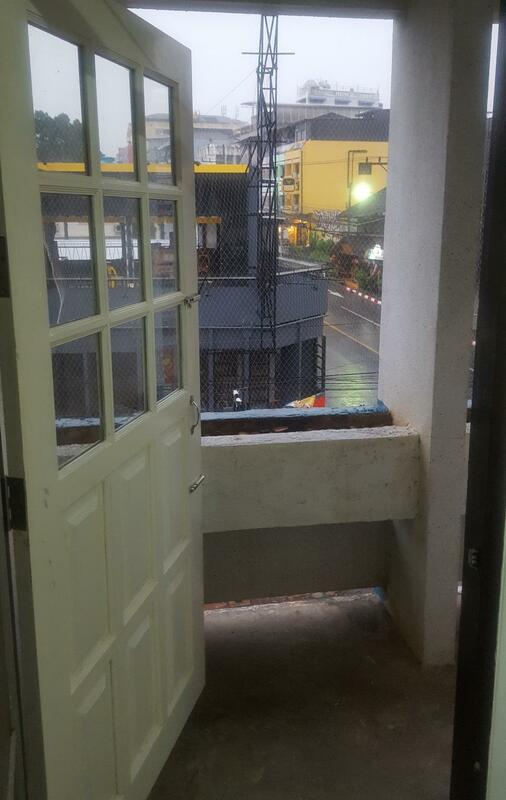 I have stayed a few times now and believe it is value for money - 290 baht for your own room. Staff are so friendly and the receptionist speaks English very well. 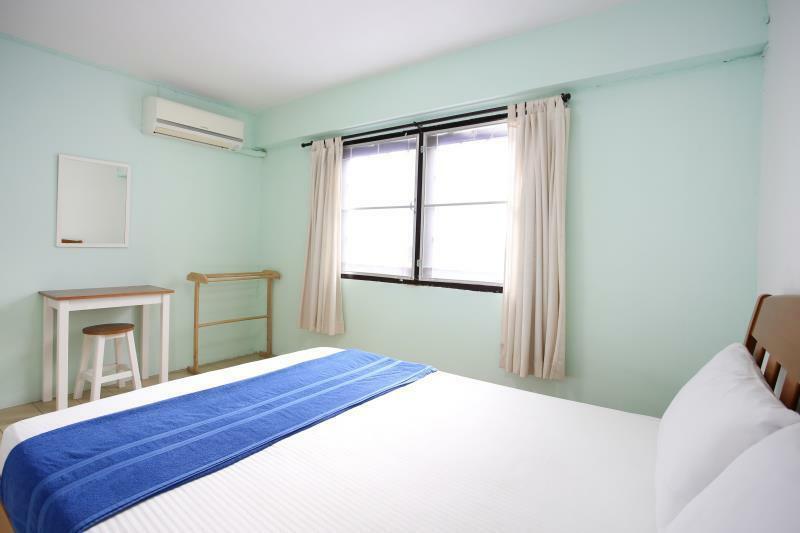 The room was super clean and a good size - bed comfy, linen clean and new (soft) pillows. I stayed in a fan room as I don't like air con and the rooms are cool enough with this as they don't get direct sun. The shared bathrooms are clean and there is warm water. There is a rooftop terrace that is not used much but it is lovely to sit up there and you can see a bit of the river and catch a breeze. I am here in low season so the hotel does not have many guests but I think it would still be a good choice as a budget room otherwise. The location is great - nearly riverside, right near the Pier and lots of good and cheap cafes and restaurants. 5 minute flat walk max to weekend night market and local market and vogue store area and also the airport bus a few hundred metres to pick up point.Very convenient . location. I will be back again next year when I come through Krabi. Thanks to the lovely staff. The room smell was horrible, the stuff was almost never on the reception, we had to wait for almost 3 hours to get in and get our room "ready" . We reserved 4 nights but decided to only stay only for 2. The only good thing about it is location. Great location, tried to charge us more than was advertised on Agoda as the price was listed wrong, but that was not our fault and if we had known the full price we would not have stayed there. It ended up being fine, but only after having to argue with the employee/owner (not sure who). For the price paid, decent facilities, hot water and air con worked well. Nothing more to say. I've stayed in krabi many times. this is a good place if you want to have a few beers and stagger back to. Great for a cheap bed in a great location. Only complaint is we booked a taxi with the owner for 7am. 7.10am no taxi and no staff. We were very lucky that a bus driver beckoned us and took us to the airport. The hosts were extremely accommodating and attended to all our needs. Fast wifi, clean rooms and a beautiful rooftop patio that has a view of the busy roads of Krabi town. Very central location only a 5 min walk to the pier and night market. 10/10 would recommend staying here! One of many inexpensive B&Bs in the centre of Krabi. This one is cleaner than many and is right in the centre. 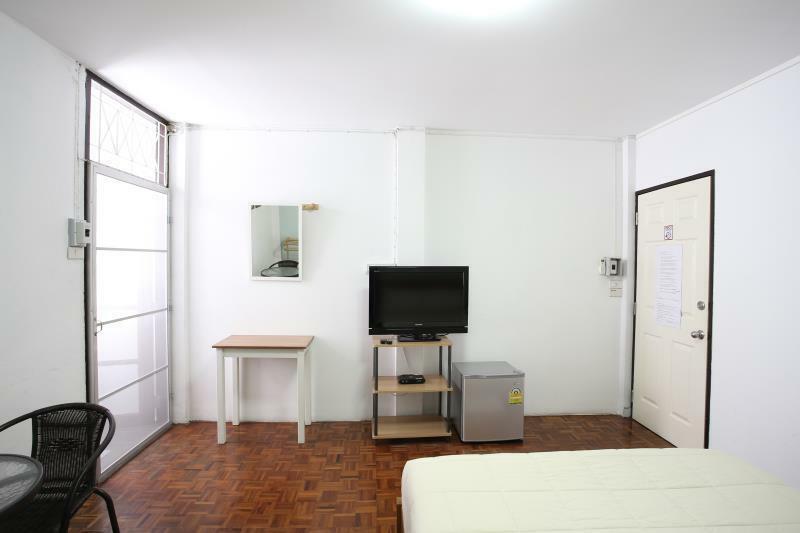 Shared bathrooms and lack of facilities should not be a problem if you simply need to stay a night on your way to somewhere else. Stayed for 3 nights, room was basic but it was cheap so didn't expect much. Struggled with sleep due to rain causing a lot of noise as it landed on whatever was outside our room!!! Very warm so would recommend air con if you can afford. Close to lots of bars, shops and restaurants. Also opposite a cheap moped rental place. We stayed here for two nights just to figure out our next step. Staff is really nice and helpful!! Bedrooms are spacious and simple, perfect for just a couple of nights. Bathrooms were not very clean so that was the only downside. staff very friendly. facilities clean and well worth the money. location was great. food market by the dock is a must. didn't find better food elsewhere and the locals are friendly and the food is just unbeatable, especially for the price. Haggle for everything, including tour prices. always try and get the best deal. It's a little distance from bus terminal if you take minivan from airport. Have to walk like 5-10 mins. The hostel is very clean and tidy. I like the design of their first floor. Our room is very big, like we can dance inside. We have our own tables, chairs and bathroom. The staff is not always at reception, but you can ring the bell then she will show up from a small room if is her working time. She is a very friendly person, always smile when seeing us. The hostel makes me feel safe in night because you can only use card keys to open the front door. There is no laundry service here, but you can do it 40 bath a kilo just in front of the hostel. They also have tour and transport booking. We booked the transport to koh samui from her, and it's nice. Clean with a get round room size. Very helpful staff and located well in Krabi Town. The shared bathroom was clean but a little walk away. Towels cost 20baht. Stayed one night and it was everything we needed. The woman who was working during our stay was very sweet and helpful. The guesthouse provides a lot information for the surrounding area. The location is near the walking street, river, and pier and was a nice play for us to be. This is our second stay. We were here 2 years ago and chose this guesthouse again because of convenient location and value for money. Just steps from the pier, night food market and our favorite breakfast place "Easy Cafe".